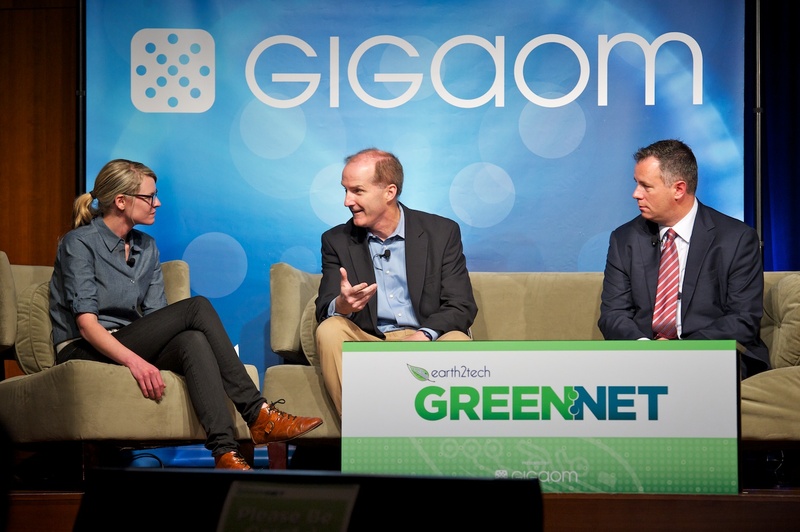 The CEO of power giant NRG Energy, David Crane, told me earlier this week to expect big things from his company around rooftop solar systems for homes. Now here’s some major news on that front: On Thursday NRG Energy announced that it plans to acquire Roof Diagnostics Solar, the sixth largest residential solar installer in the U.S. with 470 employees. Terms of the acquisition were not disclosed. Based in New Jersey, Roof Diagnostics Solar is currently focused on providing solar installation and financing services to East Coast home owners, but plans to expand its services to the West Coast soon. NRG Energy already has a small but growing residential solar installation and financing business called NRG Residential Solar Solutions. Roof Diagnostics Solar will start operating under the NRG Residential Solar Solutions brand within the next month. While NRG has had a business around installing and funding solar panel systems for commercial and industrial building owners for awhile, its residential rooftop solar business with solar leases was rolled out in fits and starts. Crane told me this week that NRG hadn’t been more aggressive in the home rooftop solar market before because the price of solar systems are just now becoming affordable for about half of the U.S. this year. But now, since the price of solar panels has come down so much, “residential solar is at the vortex of what our company is trying to do,” said Crane. NRG eventually wants to sell a branded package of residential energy services, including home automation and control systems; Crane says the company is going to spend the next 18 months rolling out these services. Crane tells me he wants NRG to be as big or bigger than SolarCity, which is currently one of the largest solar installer and financiers in the U.S. As of the third quarter of 2013, SolarCity was responsible for a third of home solar panels on rooftops. 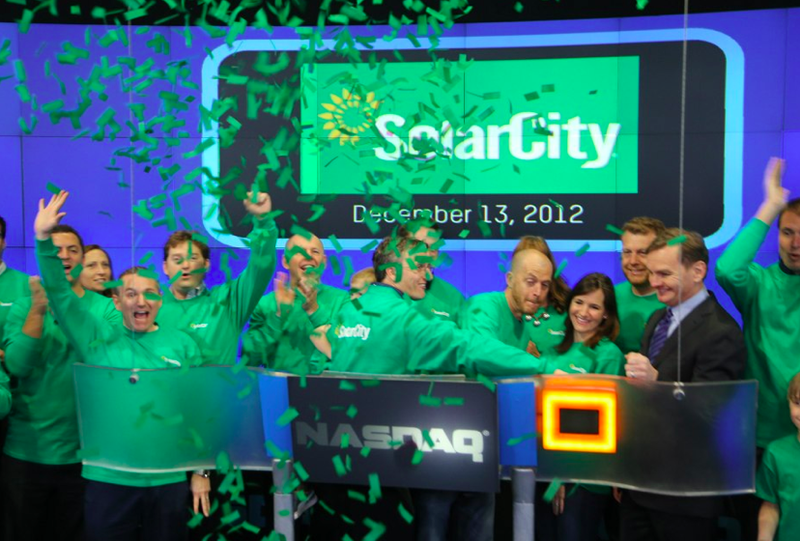 By the end of 2014 SolarCity plans to have 1 GW of solar panels installed over its lifetime since 2006. NRG has the balance sheet to compete, though it’s trailing an already crowded market. According to NRG’s annual report, the power company owns 25 GW of natural gas power plants, 13 GW of coal generation, 448 MW of wind farms, 1.2 GW of utility-scale solar systems, and 47 MW of distributed solar panels on rooftops (53 MW including systems under construction). Crane wrote in that annual report that he wants NRG to operate more like one of the top four internet players — Google(s goog), Apple(s aapl), Amazon(s amzn) and Facebook(s fb) — that create consumer services that are connected, seamless, empowering and provide choices. Distributed solar systems will be a big part of that. Solar saw massive growth in 2013. There were 4.75 GW of solar energy systems installed in 2013, including 2 GW in just the fourth quarter alone. That made solar the second largest source of new electricity generation in the U.S. last year, only behind natural gas. 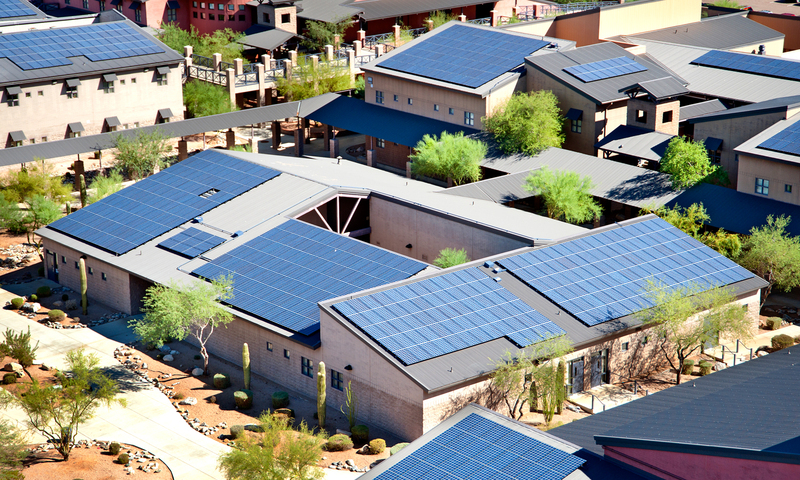 The amount of solar installed last year was 41 percent higher than in 2012. There are now over 12 GW of solar panels installed in the U.S. — from 440,000 solar panel systems — and 918 megawatts of solar thermal power. Rooftop Solar Power is not the way to go if modules are fixed in place. Check out a Solar Transfer, better way to go. NRG has NO idea how to do rooftop solar. Maybe their shakeup at the top of their solar division means they can find some new leadership, but I endured those fits and starts mentioned in the article. Now – if they let Roof Dynamics guys do what they do, maybe NRG has a chance. The solar lease and PPA companies are just trying to save their outdated business model. Solar has dropped to such a low price today that even the 30% tax credit is no longer needed to get a great return on investment. For example: Hyper X Solar’s N-Type, thin film passivated, tunneling junction architecture already provides higher efficiency, a smaller footprint and a much lower cost which makes At just $2.14 per watt, Hyper X solar’s price/performance ratio hard to compete against when compared to many of the solar lease and PPA company’s poorer performing offerings. Hyper X solar offers a better PTC to STC ratio “Real World” performance according to the California Energy Commission’s performance rating listings than over 100 of SunPower’s solar panel models. Big, very exciting news about NRG. Just one comment/question: why is it that you describe the market as “already crowded”? Granted, there are a large number (thousands) of “installers” in the U.S., but they are primarily grouped in the same markets (often centered around rebates), not to mention many of these companies are not “true” professional solar companies (solar as a primary service, as opposed to solar as a side business for a roofer or electrician). Furthermore, the industry has seen tremendous growth over the past several years (both in terms of adoption and general interest) and the majority of states’ potential for solar still remains largely untapped. This suggests that there exist plenty of opportunity left on the table, particularly as the market matures and electric rates creep upward. this is going to be common place in the solar industry. its the only way an installer/finance company will survive after the end of the 30% tax credit is the going to be if finance and install companies join forces to become bigger. the competitive nature of solar will not be as competitive in the future, and we will have to ride the movement and not dollars. If this company is so optimistic about solar, shouldn’t it be immediately scrapping its large coal portfolio and replacing it 100% with utility scale solar? For a company that is so into renewables, it seems to have an awfully large reliance on fossil fuels. Here’s the short & sweet answer: Because of the risk mitigation benefits of diversified assets, markets and revenue streams. What they are trying to do is reduce the reliance on fossil fuels, not entirely replace fossil fuels.